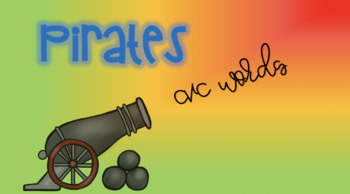 This product contains a pirate theme set of sensory stakes designed to target CVC words! 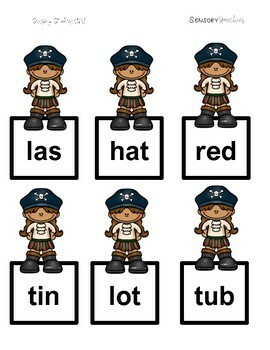 These are meant to be used as activities corresponding with our Pirate Sensory Tins to encourage hands-on learning using multi-sensory input. 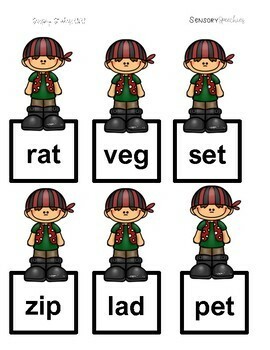 This product includes 48 sensory stakes including: CVC words containing all short vowel sounds. These stakes can target both encoding, decoding, handing writing, short vowel sorting and much more depending on how you structure the play scheme!